What happens when I get a concussion? Do concussions add up? Concussions can be dramatic or go almost unnoticed, but all cause some amount of long-term damage. Recent studies have shown that concussions may affect the white matter in the brain: the superhighways that carry information from one brain area to another. People who have previously had concussions are at a greater risk of future concussions, and a study from Purdue University found that even football players who didn’t get concussions suffered a small decline in performance on some cognitive tests for each impact on their helmets. COMMON MYTH ABOUT THE BRAIN: Are all brain scans dangerous? There are different ways to look inside the brain, each with different levels of risk. 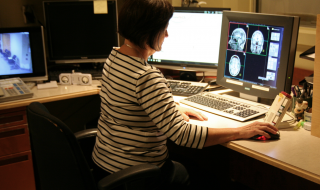 One of the most popular research tools is MRI, or magnetic resonance imaging. This method uses a large magnet and some radio waves to look at the different tissues of the brain. MRI is not considered to pose a significant risk unless you have certain types of metal in your body, like a pacemaker. A second type of imaging is PET, or positron emission tomography. This type of imaging involves injecting a small amount of a radioactive tracer into the blood and tracking it as it arrives in the brain. PET does expose an individual to radiation, but the radioactivity injected for a PET scan (5mSv) is well under the Health Canada yearly limit (50mSv). In clinical practice, computed tomography (CT) scans are much more common, especially in neurosurgery and neurology. This is probably because CT scans are faster and less expensive than MRI scans. CT scans use x-rays; the radiation from 1 CT scan is roughly equivalent to the amount a person is exposed to in 2.7 years of daily life. In 1985, the Montreal Neurological Institute (affectionately called The Neuro) acquired the very fist MRI scanner in the country. This past February 2019, The Neuro acquired Canada's very first full-body 7-Tesla Siemens scanner, the most powerful MRI scanner currently in the country. It goes without saying that The Neuro always strives to be on top of the most recent technology when it comes to looking into people's brains! 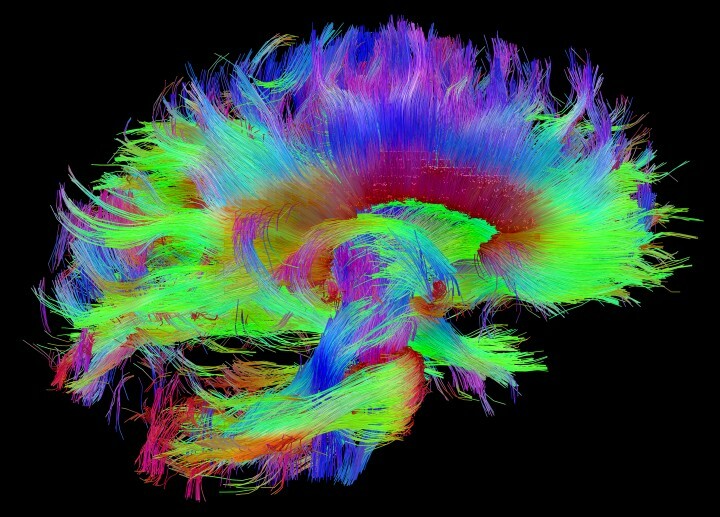 HAVE SCIENTISTS MAPPED THE ENTIRE BRAIN? Mapping the brain essentially means defining and describing all neurons and their connections in the brain. 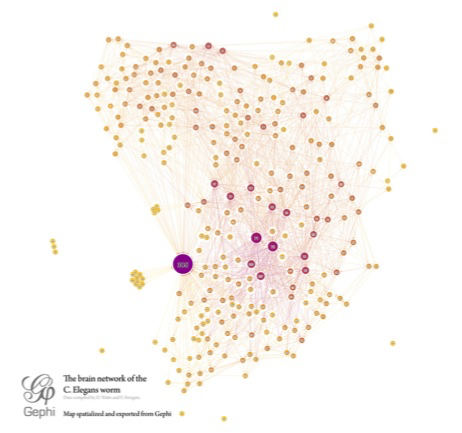 This has sometimes been called the “connectome”. Even mapping one cubic millimeter of a mouse brain took years and generated a lot of data. Though we've made great strides in better understanding the brain, current technology is insufficient for such detailed mapping in humans. However, there are a number of large scale initiatives for understanding the brain and integrating neuroscience research. The Brain Research through Advancing Innovative Neurotechnologies (BRAIN) launched by President Obama in the US aims to develop technologies which would help neuroscientists understand brain activity and neural circuitry and ultimately intervene in brain disorders. 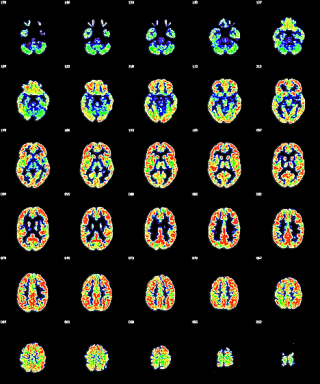 The Human Connectome Project (photo above) in the US uses the brain-scanning technique called magnetic resonance imaging (MRI), as well as other non-invasive techniques, to understand the connectome at a large scale, rather than individual neurons. The Human Brain Project launched by Henry Markram is trying to reverse engineer the brain and computationally simulate it. 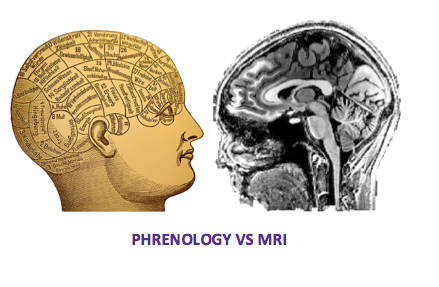 In the early days of psychology, Franz Joseph Gall developed a theory called phrenology, which stated that personality could be determined by measuring the size of bumps on the skull. While it is true that the brain can change in size and shape as we learn and experience new things, it won’t show on the outside of the skull! ARE PEOPLE WHO STUTTER JUST REALLY NERVOUS, OR IS SOMETHING HAPPENING IN THEIR BRAIN? There are different types of stuttering. Neurogenic stuttering happens as a result of brain injury like stroke, and psychogenic stuttering is associated with psychiatric disease. But the most common type is developmental stuttering, which appears in children 2-4 years old as they are learning to speak. This type of stuttering is mainly genetic; some figures claim that it is up to 70% heritable. Scientists can determine heritability by performing twin studies, looking at the difference in frequency of the disorder between fraternal and identical twins. Stuttering can become worse in stressful situations, but at its core, it is generally considered to be neural and not just due to anxiety. Developmental stuttering is associated with many brain structural abnormalities. In particular, the left inferior frontal gyrus of children who stutter has abnormal gray matter, and less white matter connecting it to the rest of the brain. This region is normally involved in language production, and is loosely related to the speech production region popularly known as “Broca’s area”. To learn more, visit the Stuttering Foundation. ​A headache is a perception of pain in the head, and can have a variety of causes, from stress and tension (the most common) to bacterial infections and tumors (rare), and even the over-use of some medications. Many are not well understood. However, many headaches involve something known as referred pain, or pain felt in a location different from its origin. For example, some headaches actually originate from neck or shoulder problems. Tension-type headaches often come after stress and fatigue. 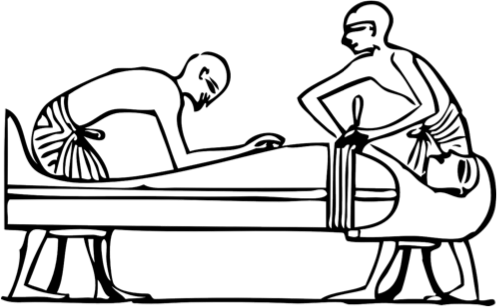 People used to think they were caused by muscular tension, but new studies suggest that it might be the other way around; pain receptors activated in the head, neck, and shoulders can result in muscle tenderness. Over-sensitive pain receptors can start interpreting normal sensations as pain, and the headache can become chronic. We are still not sure what causes these pain receptors to be active in the first place. Migraines are recurring and very painful headaches that are often one-sided, last less than 72 hours, and can induce nausea and sensitivity to light or sound. Today, many scientists believe migraines are caused by a “wave” of activity in the brain (of unknown origin) that eventually activates pain receptors in the trigeminal nerve, a nerve responsible for transmitting touch and pain signals from the face. This spreading wave of abnormal brain activity is known as cortical spreading depression. 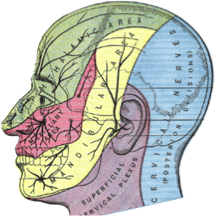 The trigeminal nerve normally receives sensations from the green, red, and yellow areas of the face in this picture. But in migraines, this nerve might be activated by abnormal brain activity! how does our brain control sleep-wake cycles? Sleep is regulated by two body systems: sleep/wake homeostasis and the circadian biological clock. When we have been awake for a long period of time, sleep/wake homeostasis tells us that a need for sleep is accumulating and that it is time to sleep. The internal circadian biological clocks regulate the timing of periods of sleepiness and wakefulness throughout the day. 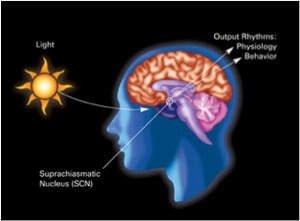 This biological clock is controlled by a part of the brain called the Suprachiasmatic Nucleus (SCN), a group of cells in the hypothalamus that respond to light and dark signals. Disruptions to these systems can cause difficulties with sleep, like insomnia. Learn more, visit the Sleep Foundation website. common myth about the brain: The movie "50 first dates"
Is the movie 50 First Dates realistic? Amnesia in movies is often problematic. There are two types of amnesia: anterograde and retrograde. In retrograde amnesia, people lose some memories from their past, but are still able to form new memories. Anterograde amnesia is the opposite: past memories are intact but patients are unable to lay down new memories. This is the kind of amnesia depicted in 50 First Dates. However, anterograde amnesia doesn’t “reset” every night like in this film. Rather, events are forgotten as soon as they leave working memory, or as soon as the brain stops actively working on the information. In practice, this means forgetting will occur every few minutes. The movie would have been very different if it portrayed true anterograde amnesia! Ancient Egyptians removed organs and saved them in jars when a person died. However, the brain was thought to be unimportant, so it was just thrown away! Still, the ancient Egyptians wrote some of the oldest surviving medical texts about the brain, including specific cases of brain injury. HOW MANY NEURONS MAKE A BRAIN? ​There is a large variation in the number of neurons needed to form a brain. Animals like sponges don’t have any neurons, so they don’t have a brain at all. The tiny roundworm C. elegans has only 302 neurons, but this is enough for complex behaviors like learning, mating and looking for food. The organization of these neurons are identical in every worm, which is useful for scientists who study them. The number of neurons grows a lot from there—the fruit fly Drosophila melanogaster has about 100,000 neurons, and the human brain has around 85 billion neurons! The overall structure of the brain (like lobes) is the same in most people, but unlike C. elegans, the connections between neurons develop in a completely different way for each individual. This allows us to better adapt to new situations. Interestingly, the African elephant has three times as many neurons as a human, but brain size doesn’t always dictate intelligence-- there are other factors that may affect intelligence, like the number of connections between neurons, brain size as a percentage of body size, the number of supporting cells in the brain, or the complexity of the synapses. ARE THERE BRAIN CELLS THAT HELP ME RECOGNIZE SPECIFIC PEOPLE? Though the brain works mostly in networks of communicating cells, some research has shown that single cells might recognize specific people’s faces. This idea, known as the “grandmother cell” theory, suggests that one single cell is responsible for recognizing one individual. Using electrodes to record responses from cells, scientists demonstrated that specific images elicit strong responses from one neuron. One study showed a cell responding strongly to pictures of Jennifer Aniston and nothing else. So, a specific type of cell could be involved in recognizing complex visual patterns, rather than just identifying simple shapes. However, if this is really true, losing that cell might mean losing the ability to recognize a person forever! At the very least, this research shows that individual brain cells are capable of more complex “thinking” than previously thought. Learn more about brain cells that recognize faces here and here.